The Star King Movie - a new sci-fi adventure about King Akhenaton and Nefertiti brings extra-terrestrials and Ancient Egypt into the spotlight. We live on a “Religious” planet and not a “Spiritual” one. The solution for world peace can only come from a new universal spirituality that embraces all the religions and sets aside the old ego-driven idea that there is only one true way. Starseed Films, owned and operated by Metaphysical filmmaker and activist Michael Perlin, has one goal: educate people from around the world about the The Great Pharaoh Akhenaton who tried to enlighten the people of Egypt during the cradle of civilization. Sadly, he was ridiculed and bastardized for introducing humanitarian concepts that were way ahead of their time. He believes by creating more awareness about this mysterious king will help people come to know Akhenaton and even help us correct Earth’s history. His upcoming film, The Star King has just recently launched its fundraiser on Indiegogo and is asking for donations to make the film happen. The Star King is a Sci-Fi adventure about the life of King Akhenaton, the most unusual king in Egyptian history who mysteriously appeared in 1353 B.C. and took the throne in Egypt. The film is based on the Novel, Akhunaton, The Extra-terrestrial King, by Daniel Blair Stewart and takes us into an alternate history of Ancient Egypt - not what is found in our history books. Something very strange happened in the 18th dynasty that has Egyptologists and Archeologists still arguing about it today. 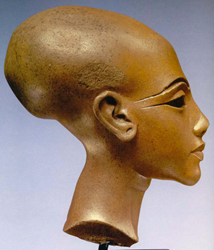 Akhenaton and his Queen Nefertiti virtually disappeared from history until 1920 when the famous bust of Queen Nefertiti was discovered under a pile of rubble in Amarna. 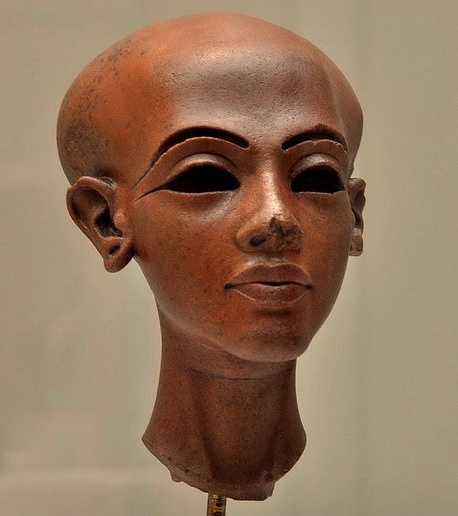 When Akhenaton took the throne he was able to swing a whole nation from polytheism to monotheism. He used the symbol of the sun-god (Aton) for the worship of the fatherhood and motherhood of Deity -absorbing all gods into the worship of the sun. He abolished slavery, abolished human sacrifices; He even gave Nefertiti, unlike other queens, equal respect and authority as the Pharaoh. They ruled together as equals. This was the first time in history that a Pharaoh ruled side by side with his Queen and attempted to uplift humanity from violence and war in an attempt to lead the people out of corruption and into a better future. The strangest thing about Akhenaton was that there is evidence that he was over 7 feet tall, had an elongated skull and very wide hips. and he walked around naked for everyone to see his shockingly disfigured appearance. Why his entire family all displayed the strange elongated skull is still unknown. What motivated his religious revolutions are questions not yet answered. Scholars have tried to explain what happened, and most of them disagree with each other. 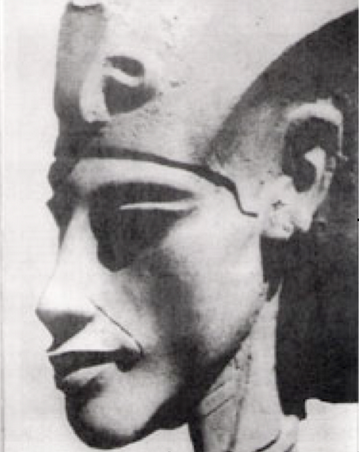 Did an extra-terrestrial being visit us in our ancient past disguised as an Egyptian Pharaoh? Our planet has had a history of unexplained phenomena that still baffle scientists today. There have been structures built all over the planet that are simply out of place and out of time. There are many unexplained mysteries that suggest an advance race of man was on the scene much longer than we previously thought and that they may have left us clues in writing, architecture and sacred geometry about who they were and where they came from. Was Akhenaton one of these great beings? Some people believe he came from the stars to enlighten the people during dark times. The Star King combines documented evidence with historical records to shed some light on this ancient mystery.